Regardless of your budget and skill level, Facebook advertising lets you get your message in front of your best prospects. 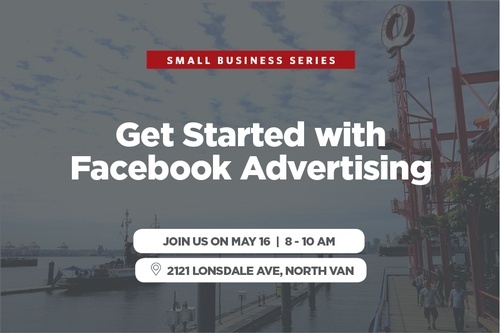 In this two-hour, hands-on workshop, Cap U instructor Conner Galway shows you step by step how to set up, create, and run a Facebook ad campaign using Facebook Ad Manager. After this workshop, you will be able to create online advertising that is relevant, on target and aligns with your overall marketing strategy. This workshop is ideal for anyone who wants to explore Facebook ads as part of an overall marketing strategy. Experience building and managing a Facebook Page is an asset, but no Facebook advertising experience is necessary. Instagram will also be covered briefly. Bring your laptop and be prepared for hands-on practice! This workshop is part of the Small Business Series collaboration with the CapU Continuing Studies and the North Vancouver Chamber's Economic Partnership North Vancouver (EPNV).